A much anticipated parcel arrived in the mail the other day. All the way from Susan Branch's Studio in California, USA. 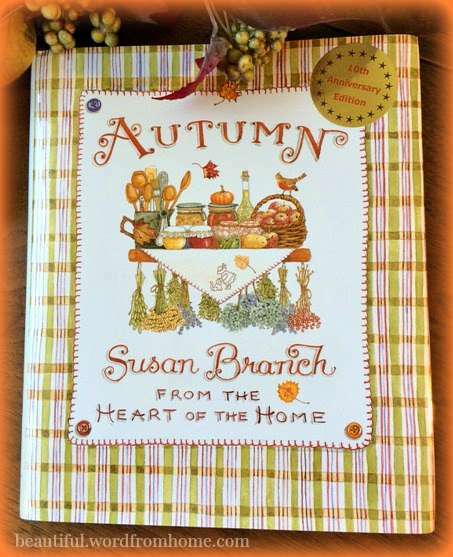 It was my pre-ordered copy of Susan's 10th anniversary edition of her AUTUMN book. I must admit, I have wondered if I would love this book as much as I did A Fine Romance, Susan's wonderful story about the trip she and her husband, Joe, took to England. 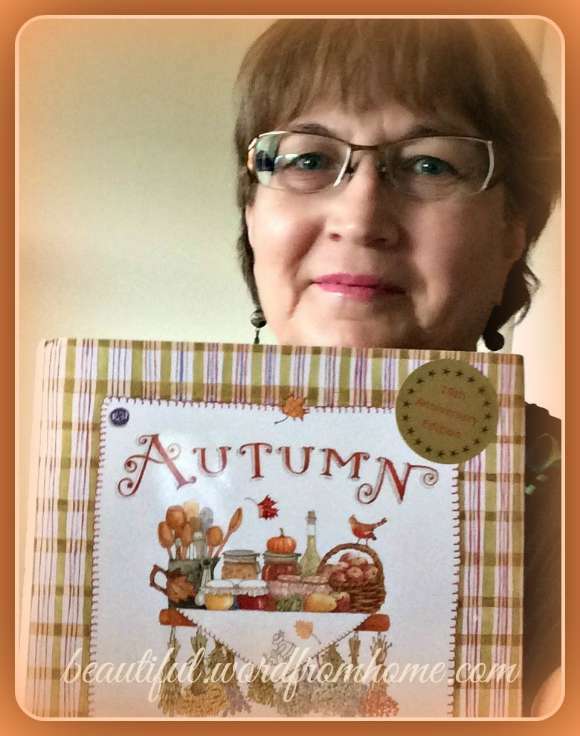 Yes, although a different kind of book -- it being filled with wonderful recipes for appetizers, side dishes, Thanksgiving, and more, as well as seasonal art-craft ideas -- Autumn has the same beautiful artwork and lovely quotes -- not to mention her heart and spirit stamped on every page. With her lovely autograph on the inside, no less! 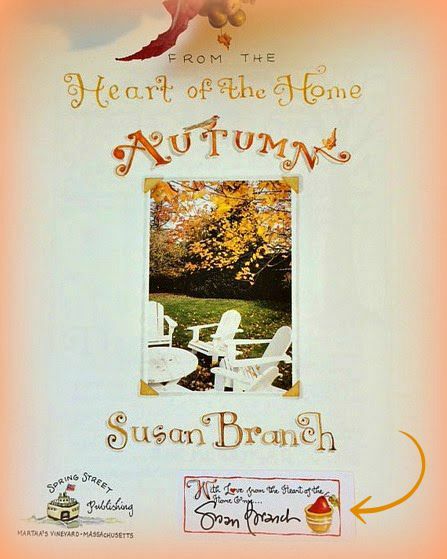 This book, a longtime favourite of many Susan Branch fans, is now a treasure in my own library. I feel a little sad that it took 10 years for me to realize this book existed. But we shall make up for lost time and I'm eager to share it with friends I know will love it. Extra copies are already waiting in my study for giving away. Family. Home. Love. Food around a table. Susan's book makes me feel wrapped up in hope and love when I read, as it reminds me of a simpler, more innocent life. Susan reminds us that it is still possible to live in beauty and kindness from the hearts of our own homes, no matter what strange things go on out where the dragons breathe fire. Yes, we can carry on because, in truth, that is what God intended in the first place. Me with my new book ... woohoo! Since getting the book, I've been trying to stretch out the treat of reading it, much the way one savors a favorite ice cream cone. Ever. So. Slowly. One page at a time. To make it last longer. Every evening, I nestle up against the squishy pillows on my bed, turn on the lamp that now casts its own autumnal golden circle of light, and reach for my new book. 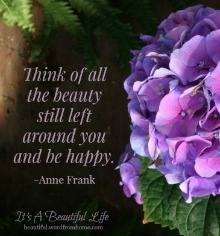 Susan often reminds us on her blog one of the secrets of a happy life is continuous small treats. Yes, I am happy with these little reading treats. I feel comforted. Nourished. Encouraged. By the time I lay my head down a smile lurks on my face. A blissful sigh as sleep weighs in around my shoulders and eyelids. Ah, and so to bed, says she... and turns out the light. A warm cozy feeling... that's it exactly! I love Susan Branch books. I keep one of them on the book holder in my kitchen, as much for decoration as for recipe inspiration. A Fine Romance is such a charming book. I would love to do a similar trip myself. Patti, Hubby and I have been working on a similar trip. I hope it works for your dream to come true! 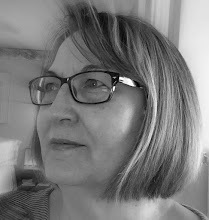 Dear Brenda - Susan's work is always outstanding and comforting. I have never read her trip to England - sounds like it is wonderful as well. Have a great day. Just came from reading Susan's tweet to you ... 'Hello, Girlfriend!' I have a first edition copy of the original Autumn (also, A Fine Romance), and am so anticipating her current work-in-progress ... not to mention armchair travel adventures to Scotland in the coming months! Thanks for sharing, and I shall return. I guess I'll have to read some of her work. Thanks for the tip! Dawn, I'm coming to visit. How blessed to actually meet Miss Susan in person! Looks like a lot of us enjoy Susan! I just got out my Autumn book by Susan, yesterday. I bought it years ago. 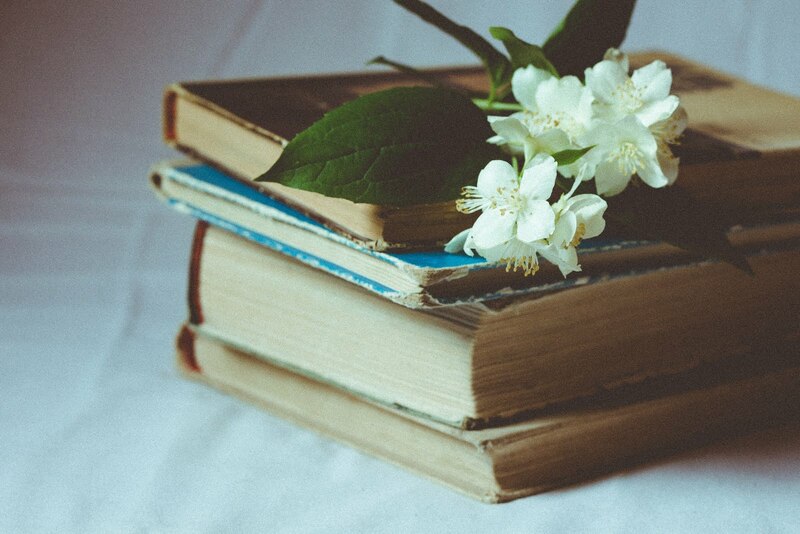 I know how you feel about savoring each page. I read read ALL her books (even cookbooks) that way. Just a bit green about the signed book and your trip to England. When??? Christine, my dream would be to go next Spring, but it probably 2016.
sounds devine-a perfecrt solution for sleepless nights! Hi Brenda! We have never 'met' but I had to stop by and tell you I'm going to have the pleasure of seeing Susan speak in October. I love her style and can't wait!